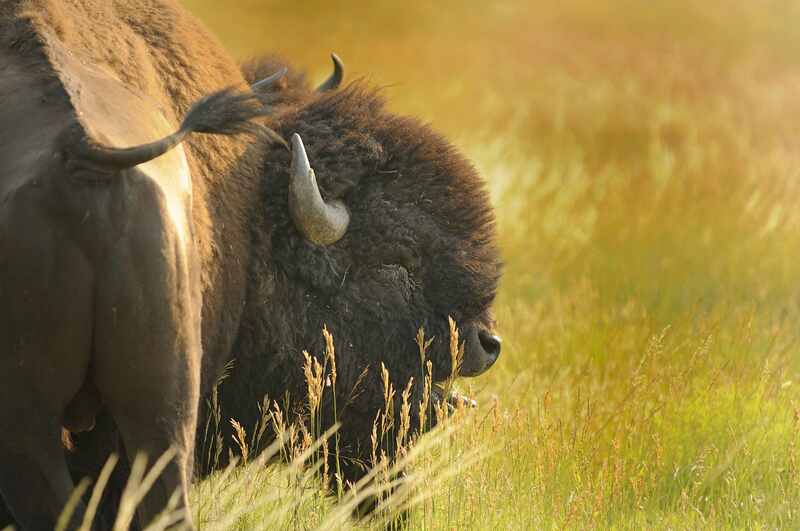 The National Park Service is looking for competent hunters to volunteer to help thin the Grand Canyon bison herd. The herd size is getting too large for the area, damaging park resources including water sources. The bison herd has about 600 head, and the Park Service says the area should only support about 200. On top of that, the herd is moving into territory where normal hunting is banned. If the herd isn’t culled the Park Service estimates that it will grow to over 1,500 animals in the next 10 years. As a result the Park Service is hosting a lottery for hunters. They are issuing 122 tags in the first year. Hunters must not only prove their marksmanship to qualify, they must also be physically capable of hunting in the region on foot. Selected hunters will receive a once-per-lifetime tag. The National Park Service and its Grand Canyon staff are still working out all the plan’s details. It’s possible that some of the herd will be relocated. Still, culling is a simpler and cost-effective way to deal with overpopulation. 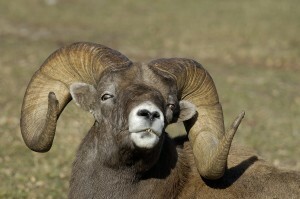 The team is modeling the hunt on multiple successful culls in Colorado, North and South Dakota and Wyoming. These Western states have had to deal with overpopulated and diseased elk herds in the past. Organizing hunters is just one part of the task. The Park Service also needs to ensure that the volunteers picked are up to the job. While the Park Service will pack out the bison heads, hides and meat on snowmobiles and sleds — and by helicopter if necessary — the hunters won’t be allowed to use vehicles while hunting. Currently, requirements are likely to include that hunters be capable of putting a 5-shot group on a paper plate at 200 yards. That works out to just over 4 MOA. Physically the hunters must be capable of hiking 8 miles a day carrying a 60-pound pack. The physical requirements are realistically steeper than the shooting requirements. Most of the hunt will take place on the northern rim of the Grand Canyon, at altitudes of around 8,000 feet. Planners expect the hunt to take place while the park is closed, in October through May. The PR Act was established in 1937 an 11% federal excise tax was added to firearm and ammunition purchases with the support from hunters and shooters to provide long term funding for the nations wildlife programs, in the 1970s the 11% federal excise tax was added to archery equipment. The most recent data is from 2014 which shows that 824 million dollars was generated from the 11% FET which was nearly 3 times that amount collected in 2006. FET collected in 2014 hit a record high of $299 million dollars for ammunition purchases, $219 million in handgun purchases, $251 million in rifles and shotgun purchases, and $55 million FET in archery purchases. This funding mechanism is apportioned back to the states for wildlife management, hunter education, and shooting range establishment, based upon the state’s population and the number of hunting license sold. State wildlife agency license sales supply the most funding for these activities which amounted to approximately $900 million in 2014, which the PR-Act is a close second. This demonstrates what most of us know is that hunters and shooters pay most of the costs for wildlife conservation in this nation. Recent sociological research indicates that roughly 60% of firearm and archery shooters do not hunt! The firearm and archery industries have been working this past year to get congress to enact the Pittman-Robertson Modernization Act, which would provide more money and greater flexibility for spending P-R funds for shooting ranges and hunter recruitment efforts. HR4818 and S2690 would provide state agencies more flexibility in how they utilize the PR Acts hunter education funds. These bills would increase those designated funds from $3 million to $8 million for national efforts promoting hunter education, recruitment and the shooting sports, and broaden the states abilities to build and maintain shooting ranges open to the public. Visit with your senators and representatives concerning the PR Enhancement Act! Thanks for all that you do for hunting and conservation! HUNTERS CAN HELP THE HUNGRY! Hunters can drop off frozen game or any frozen item at Westside Family Thrift in Rapid City on September 17th from 10a.m. to 2p.m. The program also accepts donations of other non-perishable food items. You can also contact us and we will come to pick up large donations at your location. “Our whole purpose is to get healthy game meat to the people who really need it,” South Dakota Sportsman Against Hunger president Jeff Olson said. “We can’t give Feeding South Dakota enough meat”. 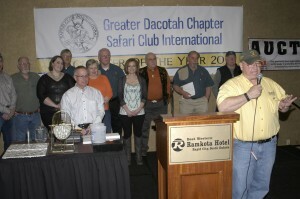 Welcome to the Greater Dacotah Chapter of Safari Club International’s web site! We will have four $500 prizes for raffle again also this year . This award recognizes the importance of Character and Sportsmanship, Conservation, and Hunting Accomplishments. At the March 12th 2016 banquet this award was presented to Jim Scull in recognition of the above criteria! Congratulations Jim on being the first recipient of this prestigious award! To nominate an individual for this award download the above “hunter conservationist award criteria” and submit to the Greater Dacotah Chapter, at greaterdacotah-sci@hotmail.com This award will be presented every year at the annual banquet. In a victory for hunters, on March 29, 2016, a D.C. federal district court rejected all but one claim in two lawsuits that challenged the yearly elk hunt in Grand Teton National Park in Wyoming. SCI, along with the State of Wyoming, participated in the case as intervenors to help the National Park Service and the U.S. Fish and Wildlife Service defend the legality of the hunt. 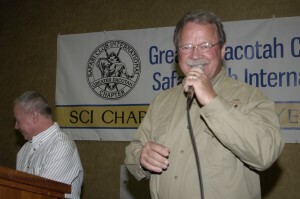 The Greater Dacotah Chapter’s Mary Ann Mann filed an affidavit as a (hunter and wildlife photographer) with the courts defending the elk hunt and stating that wildlife photography and hunting are compatible and that hunting is the most important tool in controlling ungulate populations, and maintain habitat diversity and viability of native rangelands across the west. Mary Ann used Custer State Park and Grand Teton National Park as two examples of the positive roll that hunting plays in management while giving visitors to the park the opportunity to view and photograph wildlife populations. The court rejected most of the arguments advanced by the anti-hunting plaintiffs, but did rule in the plaintiffs’ favor on one minor procedural claim. Importantly, although the judge did send that one issue back to the agencies, the judge did not order the agencies to stop the hunt and did not set aside decisions that authorize the hunt annually. The judge repeatedly stated that the agencies should be able to easily fix the identified deficiency. In the meantime, the annual hunts, which occur in the fall/winter, can proceed. An issue of particular importance to SCI was the court’s decision to reject the plaintiffs’ claim that the elk gut piles that hunters leave in the field “harass” (a form of prohibited “take” under the ESA) the threatened grizzly bears that also occupy the area. The ESA defines “harass” to include activities that alter a listed species’ feeding habits. The plaintiffs argued that the gut piles were an unnatural source of food for the bears and that bears were choosing the gut piles over other food sources. If the court had agreed with the plaintiffs, it could have led to a finding that the leaving of gut piles associated with elk hunting constitutes a violation of the ESA. Such a ruling would have had adverse repercussions for big game hunters across the country. In briefs to the court, SCI strongly disputed the plaintiffs’ arguments. Thankfully, the court agreed with SCI’s and the federal agencies’ arguments that gut piles do not alter their natural feeding habits or otherwise harass the bears. Overall, the court’s ruling is a favorable outcome and a win for hunters. The hunts will continue. The agencies should be able to address the court’s one concern. We do not know at this time whether the plaintiffs will seek an appeal to the D.C. Circuit Court of Appeals but we will continue to monitor the case and participate to defend the ruling if necessary. The National Park Service (NPS) has finally admitted what SCI and NRA have long advocated – that the use of volunteers, predominantly from the hunting community, in the culling of ungulate overpopulations on National Parks is not only legal, but also a great idea. Back in the mid- 2000s, the NPS recognized that it would have to reduce the elk overpopulation on Rocky Mountain National Park (RMNP). The Park’s elk population had grown to exceed RMNP’s carrying capacity because the Park’s enabling legislation prohibited hunting within Park boundaries. The NPS initially refused to consider the participation of volunteers to help cull the elk. The NPS claimed the use of volunteer cullers would be illegal, too costly and difficult to manage. SCI, together with the NRA, refused to accept those excuses. We attended numerous meetings with the Director of the NPS and high level NPS officials arguing for the implementation of volunteers-as-agents programs, submitted legal white papers that demonstrated the legality of the practice, and refuted arguments about the potential risks and alleged problems from the strategy. The NPS finally relented and implemented a volunteers-as-agents program to reduce the elk population at RMNP. After North Dakota legislators added some pressure, the NPS adopted a similar program for elk reduction at Theodore Roosevelt National Park (TRNP). Anti-hunting groups sued the NPS in federal district court in Colorado to challenge the legality of the program at RMNP. SCI joined the case as an intervenor to defend the use of members of the hunting community as agents. The district court rejected the challenge and the Tenth Circuit Court of Appeals affirmed that the use of volunteers as agents did not qualify as hunting and did not violate any federal law. Although the NPS finally acknowledged the legality of the program, the agency continued to approach the strategy with little enthusiasm. The NPS contended that the use of volunteers exceeded the cost of using NPS personnel or contractors and argued that volunteer sharpshooters posed unnecessary risks to themselves and other park users. The NPS never employed the program for any other ungulate reduction and repeatedly rejected SCI and NRA’s recommendations that they involve volunteers to help with deer reductions on National Parks in the eastern portion of the U.S. At meetings of the Wildlife and Hunting Heritage Conservation Council and other gatherings, the NPS announced its intention to publish a report evaluating the use of volunteers as agents and forecasted that the report would demonstrate that the strategy was too costly and ineffective for further NPS ungulate management. Despite strong reservations initially, personnel at both parks found that the elk management volunteers they recruited, trained and worked alongside were tremendously valuable assets to the programs. While each park recruited volunteers differently, both found that their strongest advocates and most vocal supporters were the volunteers themselves. They added legitimacy to the programs by providing positive feedback to the press and other venues about the professionalism of both operations and they decreased the cost of the overall process, particularly at TRNP, by providing valuable labor. One NPS person even commented that volunteers became “park ambassadors” and several commented on the positive aspects of “citizen wildlife managers”. At RMNP many of the elk volunteers have remained engaged in volunteering at the park on projects other than the elk cull. Volunteers were viewed as valuable resources and significant time and energy were considered assets well spent on selecting, training, developing and managing volunteers. State wildlife agency personnel echoed these sentiments that volunteers provided overwhelmingly favorable feedback of the programs and that the programs provided a positive alternative to traditional hunting. 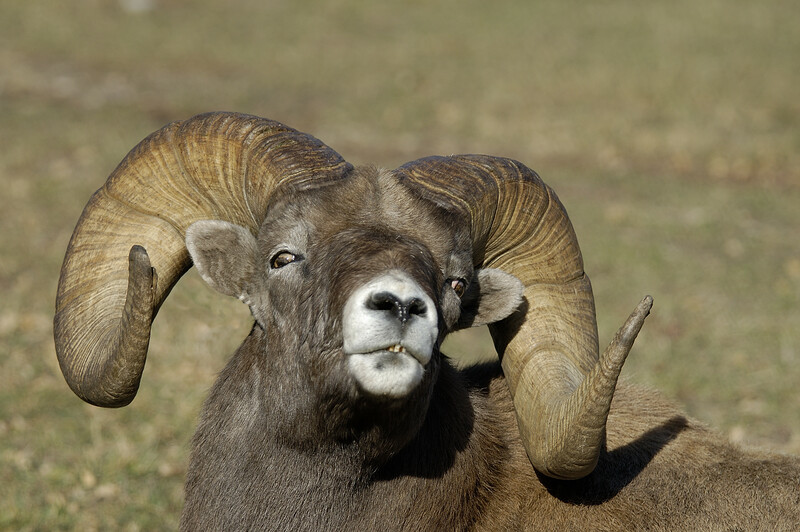 Continuing with bighorn sheep management objectives for South Dakota on February 12th 2015 26 bighorn sheep from Alberta were released near Deadwood with funding from GDC-SCI Chapter to create another bighorn sheep population segment in the Northern Hills! The North American Model of Wildlife Management is a continuing success story of “hunter funded conservation and management” for the world! Hunters Pay for Conservation through License Fees, and the 11% Federal Excise Tax on Firearms and Ammunition (Pittman Robertson Act)! Thanks to all of our supporters and members that make financial support for conservation a priority and success story for GDC_SCI! To promote good fellowship among those who enjoy the outdoors and the sports of hunting, shooting, and fishing. To promote and advocate for conservation of wildlife in the world; and as a renewable resource ”sport hunting” is the most important tool in the wildlife managers toolbox. To assist conservation efforts by supporting and funding conservation projects. To educate our youth in the safe and proper use of firearms, and to educate them in conservation of our natural resources. To share the latest hunting experiences and information of our members; so that other members, and the public may benefit from those experiences. To operate the association as a non-profit organization, and to provide funding for both global and local projects to conserve and enhance our wildlife, fisheries, and habitat resources. Safari Club International (SCI) is the world’s leading hunter-conservationist group and has more than 200 active chapters worldwide. 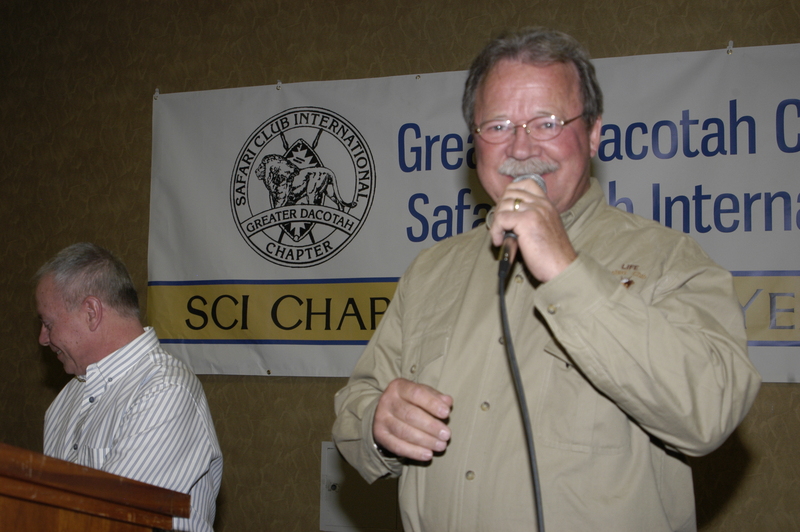 The Greater Dacotah Chapter (GDC) is proud to be part of SCI’s great tradition of ensuring hunting opportunities and preserving wildlife resources. The GDC is very active in local conservation programs and we often work with the Game Fish & Parks on local issues. Our chapter members include everyone from hunters who travel far and wide to hunters who love to hunt around the Dakotas. What we have in common is a love of hunting and a desire to protect our wildlife resources for future generations.